Vancouver’s hidden gem at Barclay Estates! 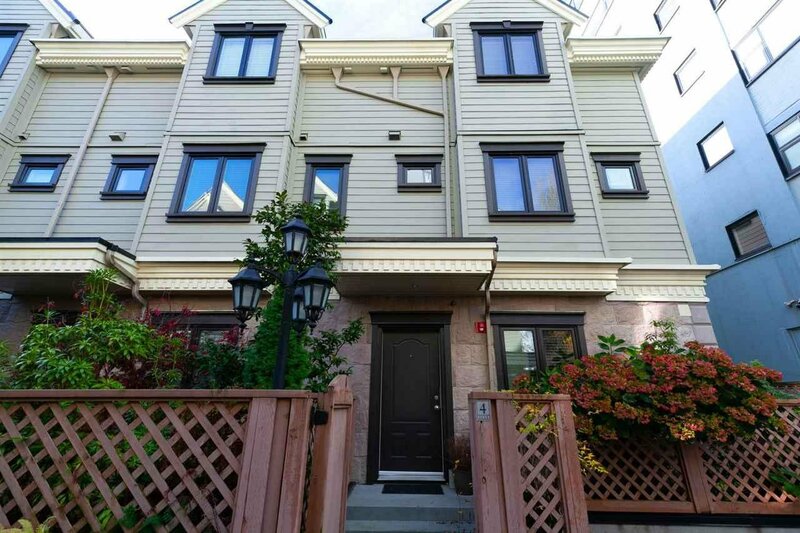 You will love this magnificent & cozy inside Townhouse in a boutique sought after West End development. Beautiful inside garden patio entrance leads to a private bedroom with ensuite bathroom perfect for guests & children. Enjoy gorgeous view of the treelined street from the comfort of a 54 sf patio and relax by the fireplace on those chilly evenings. Bright & functional Chef’s kitchen w/outdoor window, maple cabinetry & granite countertops featuring High-End Wolf gas range & Sub Zero fridge for all your gourmet creations. Vaulted ceiling in the spacious master bedroom makes it airy & inviting. Rooftop VIEW deck complete w/natural gas BBQ as well as 7’x3’ ensuite storage next to it. Comes w/2 parkings & HUGE locker. Pet Friendly & Rentals Welcome!